The work staff party. Oh how I look forward to it. Not. Especially when it's not even my workplace! Hey, I have no problems with the people. In fact, Viv's co-workers are very nice and I have a blast with them. However, the whole schmoozing thing is not really my cup of tea. And especially just returning from Black Friday 2 hours prior! I was more tired than Charlie Sheen after a night of #winning. The last thing I wanted to do was party. 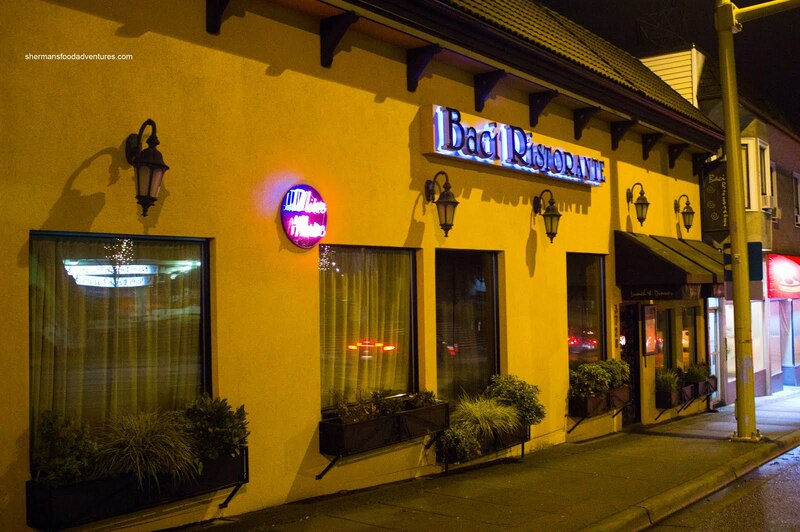 As a good husband, I obliged and we made our way to Baci on Hastings. Incidentally, Viv has recently been here and thought it was decent. Well, we'll see h ow decent it is! Keep in mind that this was a large party. Despite the fact most of the items in the group menu are available on the regular menu, keep in mind this was an atypical visit to the restaurant. We had a set menu which allowed us to choose our mains. Everyone started with a salad with a simple balsamic and EVOO dressing. Then we were all presented with a Penne mid-course. The pasta was al dente and bathed in a mild rose sauce. 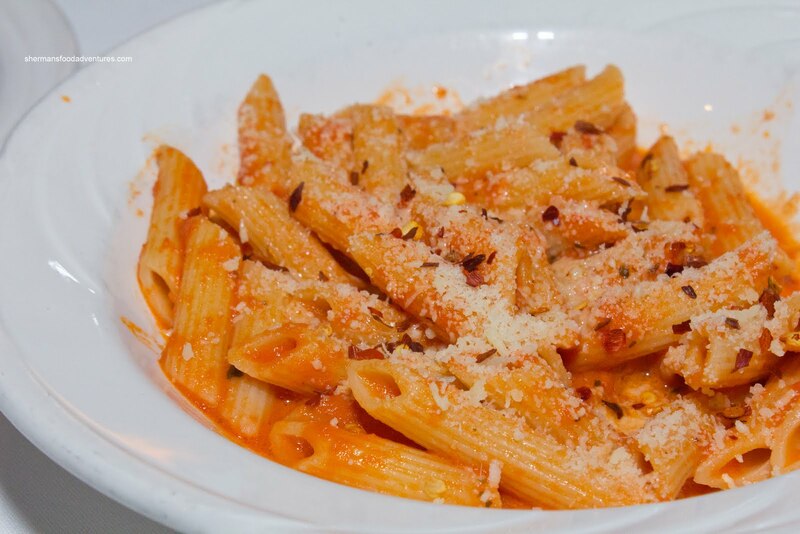 To kick things up a notch, I sprinkled some Parmesan and chili flakes to make my own Penne Arribbiatta of sor ts. After those additions, it was very good. 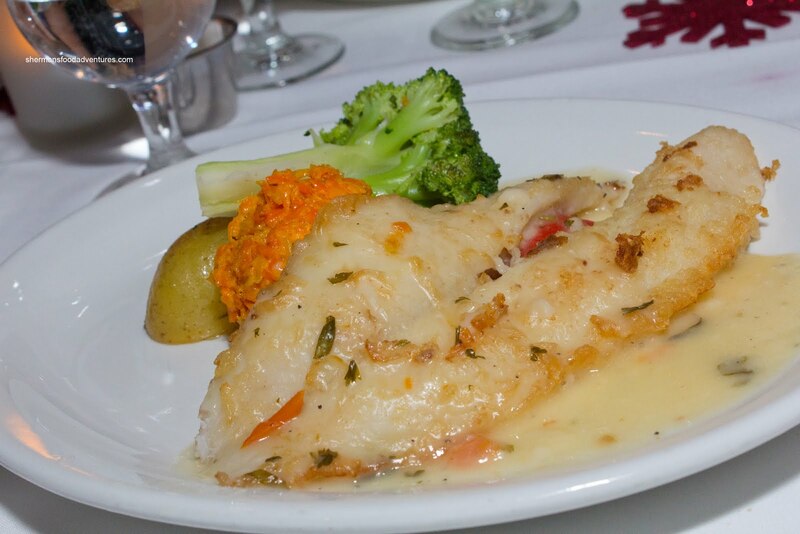 For my main, I had the Basa Fillet with lemon butter sauce. I realize that basa isn't exactly an expensive fish, yet I actually like the texture. Call it a softer version of cod. This one was pan fried perfectly where it was moist while having a nice crust on the outside. The garlic white wine sauce was fantastic with tartness while still be quite balanced. All of us got the same accompaniments due to convenience (which we totally understand). The broccoli was cook right being still crunchy while the roast potato was soft on the inside. The orange glop on the plate was a mix of carrots and rutabaga. Despite several strang e faces made by other diners after they found out it was rutabaga, it was actually quite good. Nice texture and sweetness. 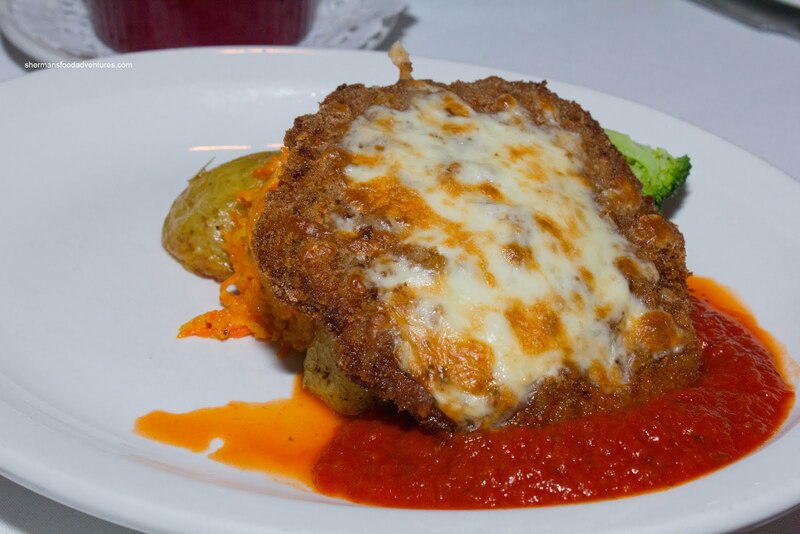 Viv, being the meat-eater that she is, went for the Vitello alla Parmigiana. Well, I actually wanted it myself, but for variety purposes, I went for the fish. The piece of veal was quite substantial and fried up nicely. The outside was crisp while there was very little in the way of mushy spots. The meat itself was fairly moist. It could've been a touch more juicy, yet it wasn't too bad. We liked the m arinara sauce, it had a nice consistency with a good balance of tartness. I liked this more than the fish I ordered. Doh! The other meat option was the Pollo alla Baci (or chicken breast with brandy and mushroom cream sauce. Some people remarked that the butterflied chicken breast looked like a heart. For me, it looked like someone's rear end. No matter, the chicken was moist while the sauce was flavourful and rich. Nothing amazing while solid nonetheless. 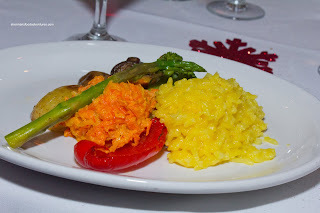 For the vegetarian option, it was a Risotto with the same accompanying veg etables. To me, this didn't look like a lot of food. Furthermore, the risotto was pretty average. Nothing terrible, yet at the same time, nothing memorable. I guess forgivable since they were super busy? Obvious from the picture that the risotto remained in a clump and didn't spread. 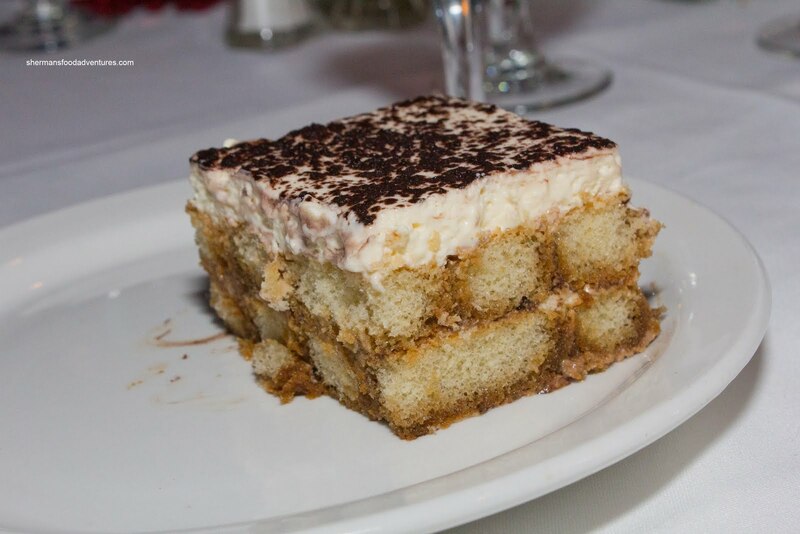 Lastly, we were all presented with Tiramisu for dessert. I liked the lady fingers were soaked while not being drenched. I personally can't stand "wet" tiramisu. I didn't get a big espresso hit and the flavours were pretty mild. 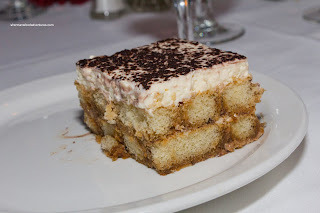 However, I thought it was good tiramisu based on the textures. This was a pretty solid end to a decent meal considering the circumstances. For su ch a small kitchen, we were pretty impressed with the overall quality of the food. Was it awesome? Of course and we weren't expecting as much. For a large party, you merely want food that is decent. Baci was able to do that and based on Viv's previous visit, they may not be my first choice, but they're decent enough. 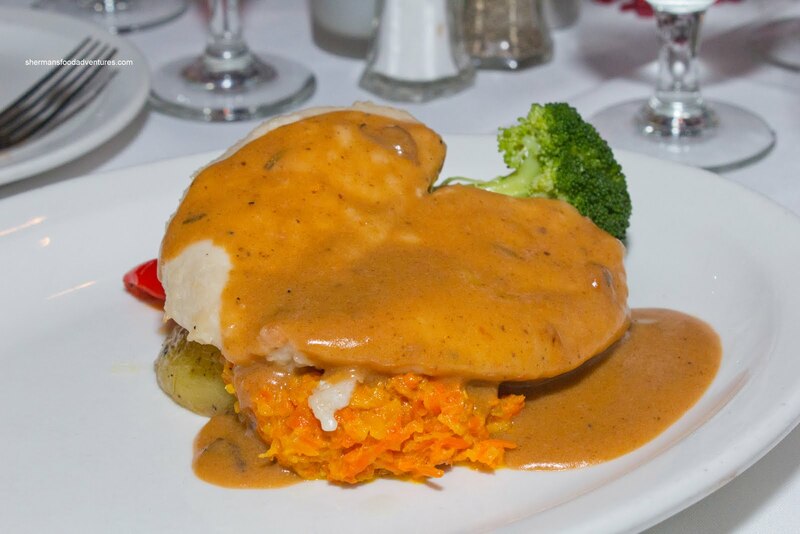 "Pollo alla Baci (or chicken breast with brandy and mushroom cream sauce. Some people remarked that the butterflied chicken breast looked like a heart. For me, it looked like someone's rear end." Too funny, esp. right after the Charlie Sheen reference, lol !